Balance is a word that often misunderstood, especially in respect of our Spiritual development. There are those who say that to be in balance means that there is no movement, that energy is static, and therefore do not advocate balance as a means of achieving growth of any kind. However, when it comes to our Divine essence and our true inner growth, nothing could be further from the truth. There is an inherent tension in anything that is balanced and it takes great power and discipline to hold the stability of that centre. If any of you have ever had physiotherapy exercises with a wobble board, you will know how much work it takes to hold your body on the board with balance and not fall of it. It is an exercise in mental focus, muscle development and determination. Any distractions and you will tip to one side or the other. So it is with our Spiritual being. Developing our spiritual presence requires discipline, trust, focus and commitment. It’s like resistance training for the soul! With focus we can identify and transform destructive emotional patterns and beliefs. With determination and resilience we get back up and into training again each time we ‘fail’ or fall back into old habits. With trust, we develop understanding that when we don’t always get what we ‘want’, we are experiencing what we need and can examine each life situation for the gift. With commitment we begin to truly know ourselves as divine beings. Our nervous system becomes strengthened as we continue our discipline and we develop the ability to hold ever more of our God Self and are held in perfect poise and balance, able to view everything in our lives, and all polarities equally. The Sacred Octahedron is your vehicle for enabling this magical transformation and supporting you in maintaining balance on your journey. Coded into the shape itself are clues to its amazing ability to bring and restore balance. The Sacred octahedron, our diamond soul vehicle, is the only shape known that has perfect internal symmetry. Each of the eight faces of the octahedron is a perfect equilateral triangle (representing balance). In addition, no matter which way round we turn the diamond, the symmetry is exactly the same, and the internal vertices are exactly of equal length. In geometric language, this is described as a 1,1,1 symmetry. Some of you may recognise the 111 as being of numerological significance in the metaphysical or new age world. It is often said that seeing 11’s repeatedly on digital devices as well as in other ways, provide a trigger code for awakening. Variations on this include 11, 111 and 11:11. It is often referred to as the 11:11 Gateway, a gateway into the unseen! My personal belief is that this is indeed a trigger code to awaken and reconnect with the Divine Essence that the diamond IS. In addition to the balance of its symmetry, the orientation of our diamond light grid connecting to our earth star and soul star chakras, provides a centre point at the base of the spine. This is the exact geometric centre of the physical body, and therefore a point of perfect balance. This balancing effect is tangible when we work with the diamond light grid. It is as if our whole body recognises this restoration and it enhances our ability to hold our centre and stay balanced no matter what may be going on around us. Our diamond becomes the calm in the eye of the storm, our ‘home’, a refuge and a place from which we can take measured and deliberate action rather than reacting. Polarities become not ‘either/or’, they become ‘both/and’. We are both light and darkness held within our being. We are feminine and masculine, no matter what the external appearances may be. We are love and fear. We are both Divine and human, held between heaven and earth. We hold all of these polarities and transcend them, by strengthening our balanced core. In this poised place of inner diamond balance, the expanded awareness of our diamond consciousness is enabled to emerge and broadcast its presence quietly and strongly into every facet of our life, bringing gifts to the world. When I facilitate Diamond Light Grid workshops, I always have a sheet of flipchart paper on the wall with marker pens available. I then invite the delegates to write up on the flipchart words or expressions that for them represent their experience with their diamond as we develop it during the workshop. Some of the phrases are absolutely delightful and individual - “It’s like Chocolate”, for instance! And then there are the words that appear over and over, almost as a keynote theme. Beauty is one of them. To experience the essence of yourself through the anchoring and connection of your personal Diamond Light Grid, is to know the real beauty of who you are. Not the external appearance, not the beliefs you hold about yourself, not the image others may hold of you in their criticisms. You get to feel, to know and to love the REAL you, the beautiful you, the magnificent you. It is an exercise in self-love and deep self- acceptance through the diamond lens that leaves you wondering how you could have ever thought you were anything less. How can the essence of the Divine be anything else? The other key that is unlocked through this lens of your diamond is an ability to perceive the beauty in all and in places where a clouded eye may see only harshness or ugliness. Turned inwards, the lens enables you to connect with your own beauty within, and turned back outwards, the lens focusses light in order to see life with greater clarity. It is the beauty and strength of the human spirit striving through challenges, the kindness of a well-chosen word from a stranger and acts of compassion drawn forward in times and places of devastation. The wastelands of life are breeding grounds for the beauty of the soul to emerge in all of its manifestations. Your diamond energises your heart and your senses so you can know with your soul the beauty that is at the heart of life itself. There are two distinct words that are used repeatedly in people’s experience of the diamond, especially when they have just been gifted with a Diamond Activation Alignment. These words are “Coming home”. For most individuals, the word home evokes feelings of belonging, of family, of warmth, love and acceptance. Granted, not everyone has a physical experience of an earthly home in this way. Nonetheless, most people relate to the word or concept of home in terms of the attributes mentioned, and carry within themselves a longing for the experience of home they may perhaps have felt deprived of. We often find individuals with the New Age and spiritual communities also feeling that somehow they don’t belong here on earth, that they want to be ‘taken home’ to wherever it is they feel they are from. This often is believed to be another star system or similar concept of home. So, even among those who consider themselves awake and aware to some degree, there is an inherent feeling of discomfort with their physicality and a degree of disconnectedness with life on this planet. There is a constant searching for home, for that deep inner belonging to a group, a tribe or a family. “Take me home”, they are often heard to cry, meaning ‘take me anywhere but here, because I don’t belong here on earth’. I know this one well, as I have used it many times myself over the years when life became too challenging, too painful or too emotionally overwhelming. There is an inherent and absolute Truth in the expression Home is where the Heart is. When we are fully centred and balanced and have the strength to allow our hearts to open fully, we feel at home no matter where we are or what may be happening around us. We feel a sense of belonging to something far greater because our hearts have expanded into our Divine presence. We experience a belonging to All that Is, because in the peeling back of the layers of protection our personality has erected, we are able to dissolve into the highest Love of the heart. In finding this, we are home. We belong simply because we are here, right now and there is a realisation that this is how it was always meant to be. In the awakening of your diamond SELF facilitated by the sacred octahedron, you find deep peace of heart and become more attuned to the flow of the universe through you. What greater sense of belonging could there be than to truly know you are vital aspect of this great cosmic tapestry? In the ways of spirit communication, my Higher Self often simply provides a one-line statement or nudge, and then leaves me to work out what it means. I used to get somewhat frustrated with this as there is a sense often of being given a puzzle or riddle to figure out. It was a comfort for me to find references in a number of the more ancient spiritual teachings that this is predominantly the way that great sages and mystics work with their students, as ultimately the understanding gained becomes a deep inner knowing. Over the years I have become quite familiar with the way my inner sage or Diamond Self has worked with me, and have learned to trust in the often cryptic one-liners! One such riddle from about 8 years ago, was that the Diamond is a Bridge. A bridge to what or where you may ask? You may have heard of the Rainbow Bridge as has been adopted in many new age circles and messages, and this usually refers to the merging of the chakras with all of their colour frequencies into the pure brilliance of ultimate all-containing light. It symbolises ultimate balance and health of all chakras and embodiment of your lightbody or Higher Essence as a core of light. The rainbow bridge descriptor does also have some relevance to your diamond and its purpose. I have previously mentioned that your Diamond or Sacred Octahedron is the architecture and container for your soul or Highest Essence. As such, the sacred geometry becomes the interface between your physical being and the higher frequency realms or dimensions. It is literally a bridge into the world or the playground of your soul. It is a living bridge into greater understanding of your Spiritual Self, into the ultimate 'I AM-ness' of your being. Your diamond is your bridge to the ultimate clarity of your soul vision, into your Divine knowingness. 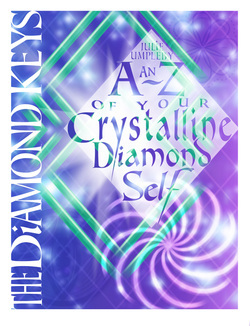 To connect with your diamond Self is ultimately your initiation in to the pathways of the ancients, a bridge into ancient wisdoms, the truths of the soul and all translated through you into our modern life. 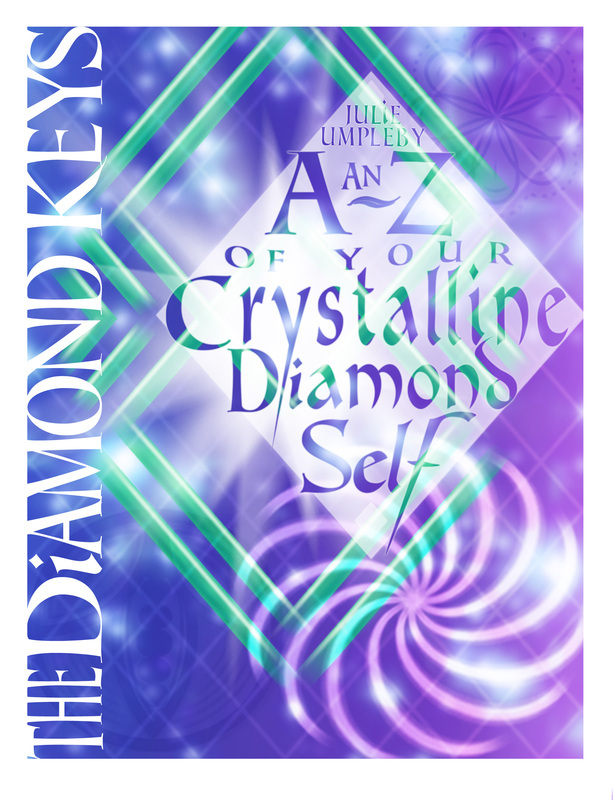 I thought I would lighten things up a little with this key attribute of your diamond! A more appropriate term to use would possibly be ‘Discernment’, however that also has a broader application, so I will stick with the Bull***t Detector for this entry. If you recall, two of the special attributes of the diamond are that it acts as an Antenna and an Amplifier, so by embodying this geometric form you effectively boost your ability to receive even faint electromagnetic signals. This means that if somebody is not being completely honest or upfront, or their words and actions are not fully aligned with what they are thinking or feeling internally, you can very often pick up this discordance. The more closely aligned you become, the easier it is to detect anything (or anyone) that is out of alignment. It doesn’t always mean that you will know what or where exactly they out of alignment, only that they are. The more you trust your own inputs, the stronger your own alignment and the clearer the signals become. When you can detect what is not being said or shared, you have access to way more information than the average individual. More information means a greater range of choices that can be made in responding to situations and not being duped by false words or appearances. When you are centred and aligned in a powerful place of Truth, all that is not Truth shows up with greater clarity. I guess you could also think of it as being the equivalent of a spiritual bloodhound!